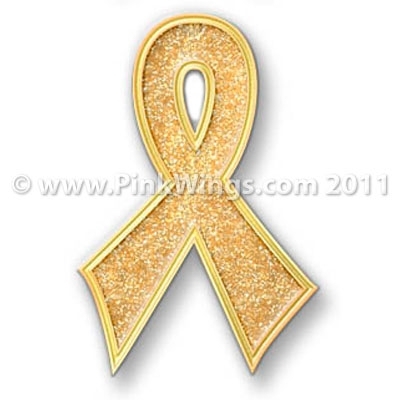 The gold ribbon represents childhood cancer awareness. This is our awesome Bling ribbon pin which is exclusive to the Pink Wings website. Please contact me if you are interested in purchasing these pins in large quantities at bulk pricing. This beautiful gold glitter pin is 1 1/4" tall and has a military clutch back.